Winning workers’ compensation and personal injury cases often requires a wide array of resources, and the team at the MacKenzie Law Firm in Denver, Colorado, makes these available to you. We understand the demands that are associated with these areas of law, and as soon as we complete our free initial consultation with you, we set to work gathering the evidence necessary to prove your claim. Our mission is to make sure we have addressed every concern you have and examined every detail related to your case. For your convenience, we accept credit cards. Our law firm staff deals extensively with insurance companies, law enforcement officers, medical professionals and government agencies on a regular basis in the surrounding area. This is useful not only in gathering key testimony, but also in determining how best to resolve your case. We have seen the ways insurance providers try to shortchange people following a car accident or workplace injury, but we do not let them cut corners when your compensation is on the line. 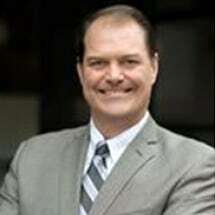 The founder of the MacKenzie Law Firm, Brian MacKenzie, is heavily involved with the legal community, holding memberships with the Denver Bar Association, the Colorado Bar Association and the American Association for Justice.